All of that will come in handy when facing less than ideal conditions like water scarcity. 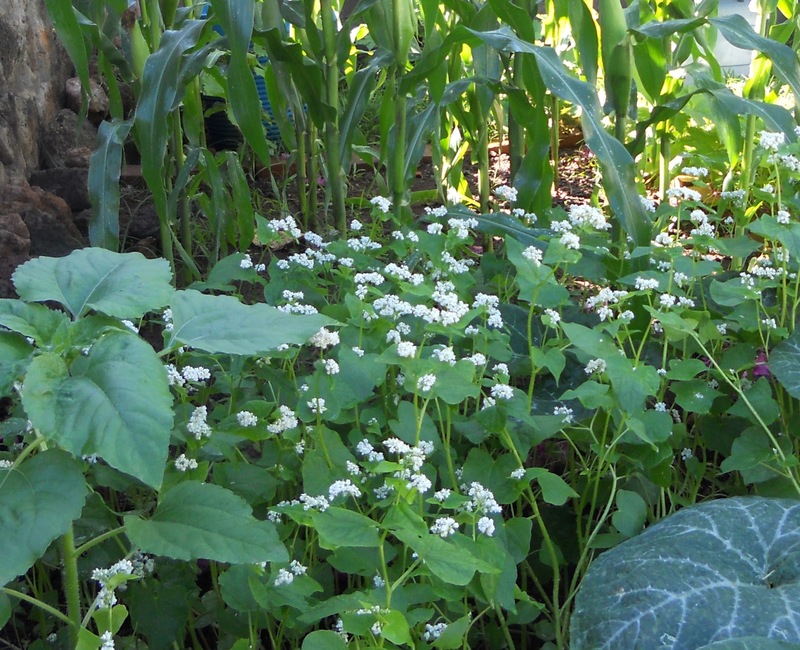 You don’t need to have a large garden or backyard farm to plant cover crops. Any space will do, and you can overlap plantings (successive planting) as well as plant cover crops with your food plants (companion planting). I’ve found that the beds that were planted with a cover crop, or just grew with ‘weeds’ (if you consider borage a weed), they broke up so much better come spring than the beds I covered with leaves and cardboard. It didn’t seem to matter how much rain we got.